If your mattress is beginning to sag or feel uncomfortable, it’s time to invest in a new one for the sake of your health and comfort. 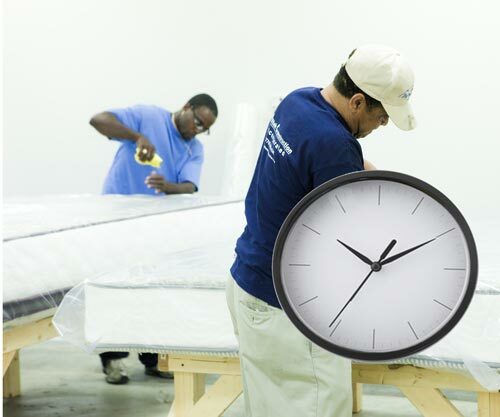 However, you may be wondering if there is a best time to buy a mattress. The truth is, there are certain times where you can pick up really great deals on some very high-quality products. However, there will also be times of the year when mattress prices are likely to be sky-high. In this article, you can discover all the insider tips on the best times to purchase a new mattress in order to snag yourself a top deal. Our experts will guide you through the optimum times to buy both online and in-store to make sure you don’t miss out on a great opportunity. Not only that, check out our buyer’s guide for tips on how to find the very best deal whenever you decide to shop. Also Read: Where is the place to buy a New Mattress? Without a doubt, May is the best month to buy a new mattress. Although, January sales are a close second. Mattress companies release new products every June. At first release they’re expensive right the way through until September. After September, the prices drop steadily throughout the year. The reason May is the best month to buy a mattress is because manufacturers will drop their prices to make room for newer models. 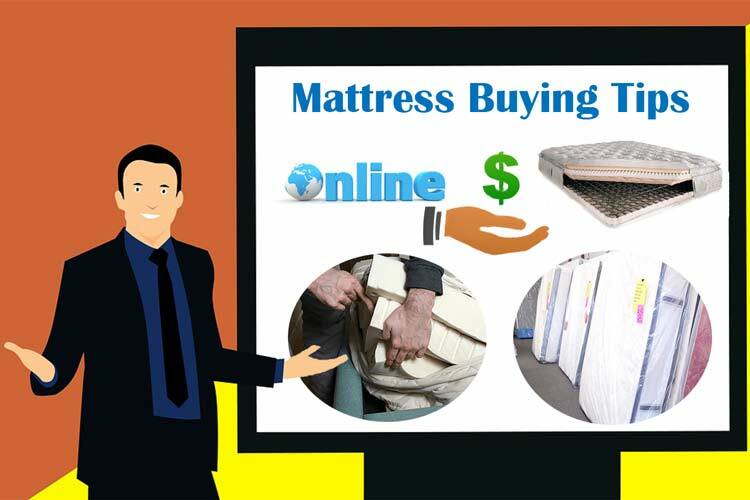 A discerning buyer can make the most of sales as well as specific deals to secure a great mattress at a fraction of the original retail price. Moreover, you can also take the best opportunity mentioned below. Online retailers will offer sales prices throughout the year. Sometimes this is simply a product of stock reduction. At other times, it will be due to specific public holidays or specific retail outlets. Amazon Prime day, for example, occurs around mid-July. It’s a one-off event that has a global reach. In order to make the most of it, make sure you’re checking regularly for 2019’s announcement from June onwards. The deals available in this period have been known to eclipse any other time of year, including Black Friday. Overstock sales are harder to catch. There’s no specific date but are dependent on the sales for a particular product. Be wary when it comes to overstock sales. Some of these products haven’t sold well for a reason but that’s not to say you can’t find a bargain if you do your research. Mattress providers pop-up and disappear all the time. A shrewd strategy is to find where these stores are, when they’re closing and hit the sales during the last two weeks. These sales become progressively better value as all stock must go. If you’re lucky enough to having a closing sale nearby, you can pick up premium quality for economy prices. New stores have to build a local client base. How do they do that? By offering opening sales to attract customers. According to business insider, over a thousand new stores are being planned for opening in 2019. Be sure to stay aware of what stores are opening in your local area to grab a much sought after discount. National holidays are often accompanied by sales in major retailers. Online-based mattress provider, Nectar, recommend shopping on national holidays to secure the finest brands. During the holiday season, you can pick up a premium mattress from the likes of Sealy for half the original retail price. Again, be vigilant against picking up any mattress just because the price is reduced. It stands to reason that sale items are not successful sellers which asks questions about quality. To narrow it down further, the weekend of memorial day is among the best times. It combines the May sales with, national holidays offering astoundingly good value for those clever enough to time their purchase. Other national holidays, including Labour day, the fourth of July as well as president’s day often see good deals. You might be able to snag yourself a bargain on Martin Luther King day as well. If you do most of your shopping online, Cyber Monday is an excellent time to grab a bargain. Likewise, Black Friday is superb for online retailers as well as in-store purchases. Used items have their prices slashed. Tempting as it may be, we can’t recommend investing in second-hand mattresses. Unlike most items, mattresses pick up bacteria, pressure points and dust-mites during their lifespan. Worse than that, they may even have bed-bugs. Steam cleaning is an option, of course. But most people are selling their mattress for a reason. Given that mattresses have a lifespan of 5 to 10 years, your money is better invested in new than in second hand. Online retailers don’t have the same overheads- staff, electricity, building rent- as brick and mortar stores. Fortunately for you, that means they don’t have to put the same mark-ups on their products. Online stores are popular because they are almost always cheaper than their physical counterparts. To give an example, a $2,500 mattress in-store can be purchased for as little as $1,500 online. Not only that, online stores are subjected to global competition. This pushes the prices down further because you, the customer, can buy from any brand rather than being limited by your location. Mattress stores require a lot of space. Usually, you’ll find them located on the outskirts of town or in retail parks. This is a hassle to get to, let alone to bring the product to your door. Although a lot of stores will offer delivery, they want you to pay for it, adding to the cost of your purchase. Online stores, on the other hand, often offer free delivery. If you’re using a service like Amazon Prime, you can even return it without paying shipping costs. Furthermore, you can review and decide your mattress from the comfort of your own home and have a new mattress in days without lifting a finger. The first thing to do is know how much you’ll spend. Whether you visit a store or shop online, companies are designed to make you spend more. Fix a budget and stick to it, regardless of how tempting the premium design seems. When you’re setting your budget make sure your amortize the payments. That means rather than considering $1,000 for example, as a one off payment. Think of it, as $1,000 spread over the next ten years. This will help you secure a premium mattress. If possible avoid opting for payment plans which work out more expensive in the long run. If you’re shopping for two, you need to discuss options together. Some sleepers might want an airy mattress, others a firm memory foam. Compromise is key, so make a list of your priorities, factoring in your budget then start researching. So long as you’re replacing your mattress, there’s no reason to rush it. Remember, you’re going to be sleeping on this for the next ten years. Waiting a few weeks for a sales period to hit, or even just spending time researching will secure the value of your purchase. Salespeople love a customer in a rush. They’re more suggestible and can get lumped with an inferior product at a high price. Ask as many questions as you need to, to ensure you get the right mattress for your needs not for their profit margin. If you’re shopping online, make time to conduct in-depth research. Don’t just read the first page, look at the detailed specifications. If there’s any parts you don’t understand, research them. Become an expert before you part with any cash. How do you define a smart buyer? By being well-informed. Hopefully, you’ve followed the recommendations above. If you have, you’re armed with research, budget and priorities and are ready to begin negotiating for your product. Showing that you’re well equipped to make a decision will open a salesperson up to the prospect of negotiation. You could easily secure a discount simply by knowing your facts as well as knowing their brands. It’s a good idea to do a some research on the markets as well. A $3,000 mattress can be available for a third of that price in a year’s time. Don’t back yourself into a corner by needing to replace a mattress immediately, you’ll only end up with a worse deal. The final, and most important piece of advice, shop online. The prices are cheaper, the products are better and the delivery is free. The only disadvantage of shopping online is that you won’t be able to try before you buy. Although, many online retailers will offer a 100 night trial with their products. Still, you can always try a mattress in a store before buying online. This will ensure you have a good knowledge of how the product feels without having to pay an extra cost for the pleasure. When buying online, always do so with a trusted seller and read the finer print of warranties, returns and guarantees.